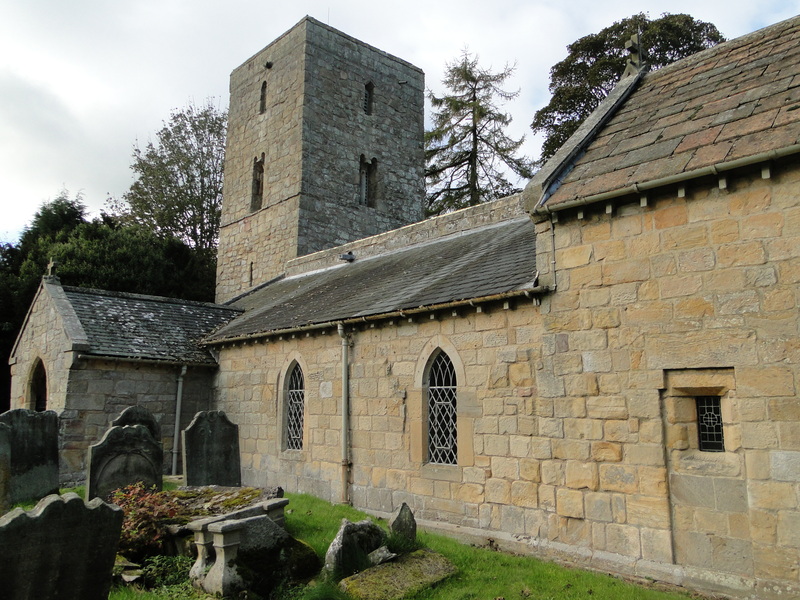 The tower and the west wall of the nave are Saxon, the chancel and tower arches are Norman. 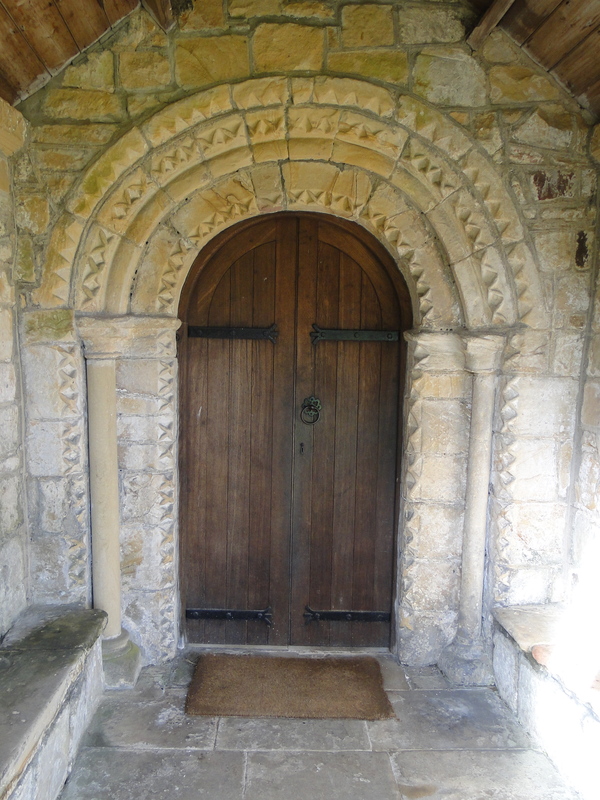 The main door and much of the other work is thirteenth century – there’s a lovely nave and a south aisle. 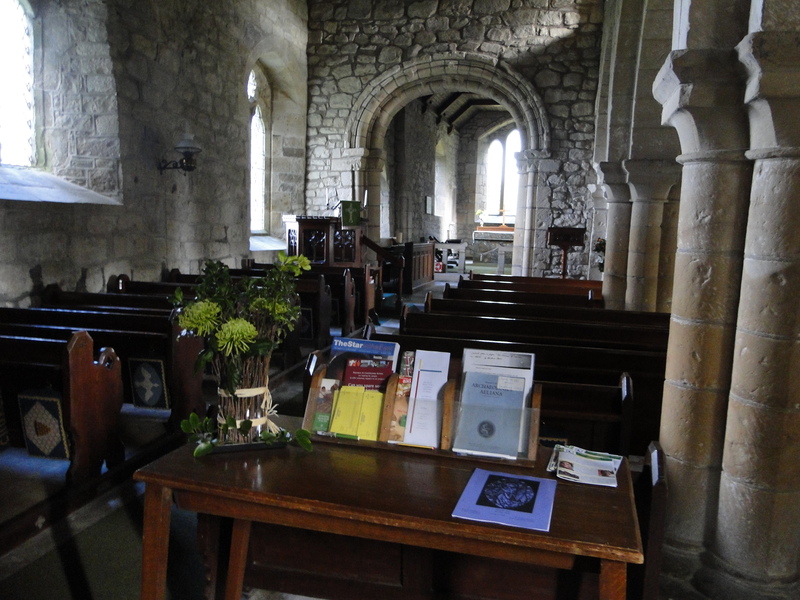 The whole building has a very ancient feel, and could probably do with another visit with a copy of Pevsner in my hand. I don’t think I’ve ever seen stone altar rails before – no danger that they will wobble as you kneel down – and I’ve never seen altar rails so far from the altar before. 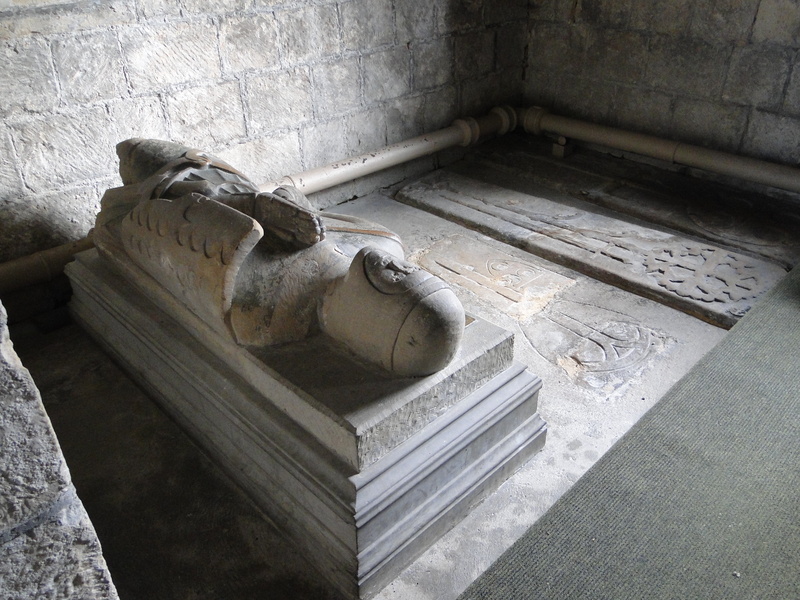 At the east end of the south aisle are these tombs. 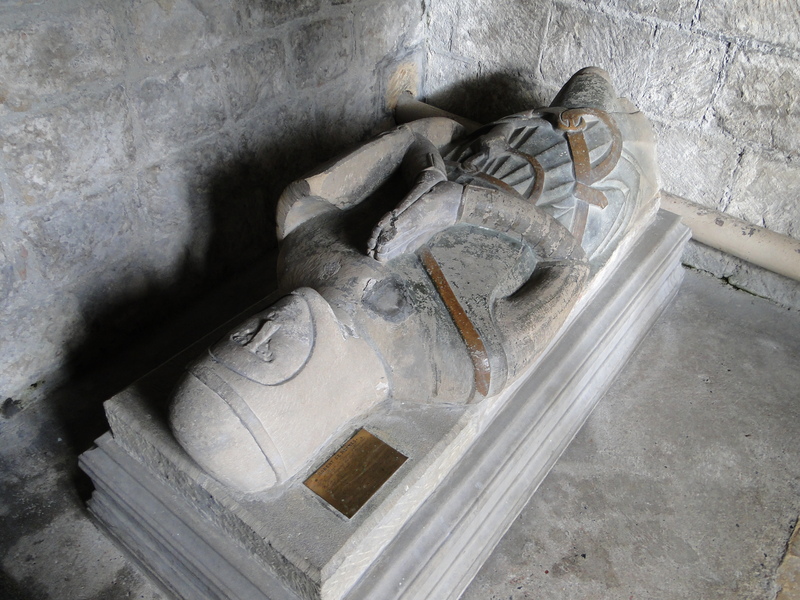 The knight is Sir Robert de Reymes (died 1324). 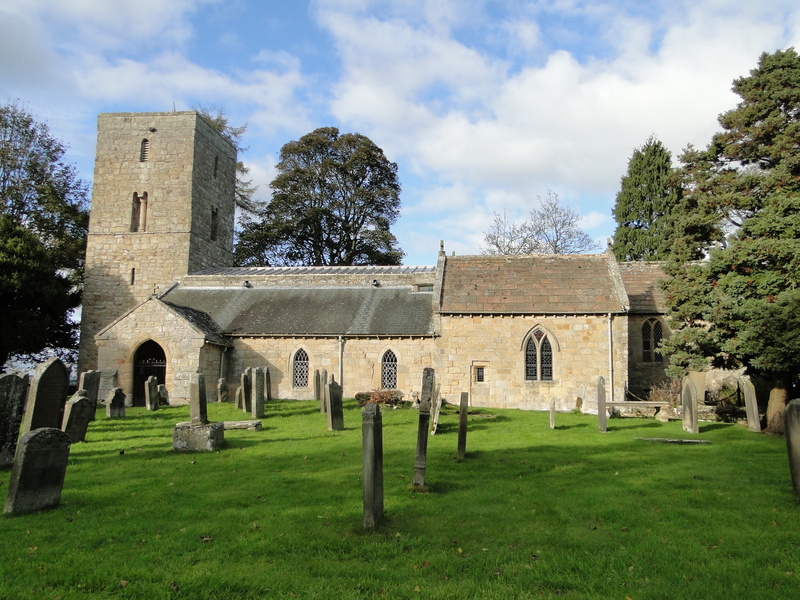 He and his family moved up from Suffolk, and acquired the half Barony of Bolam about 1295. The family also bought Aydon Castle, down near Corbridge – now owned by English Heritage. 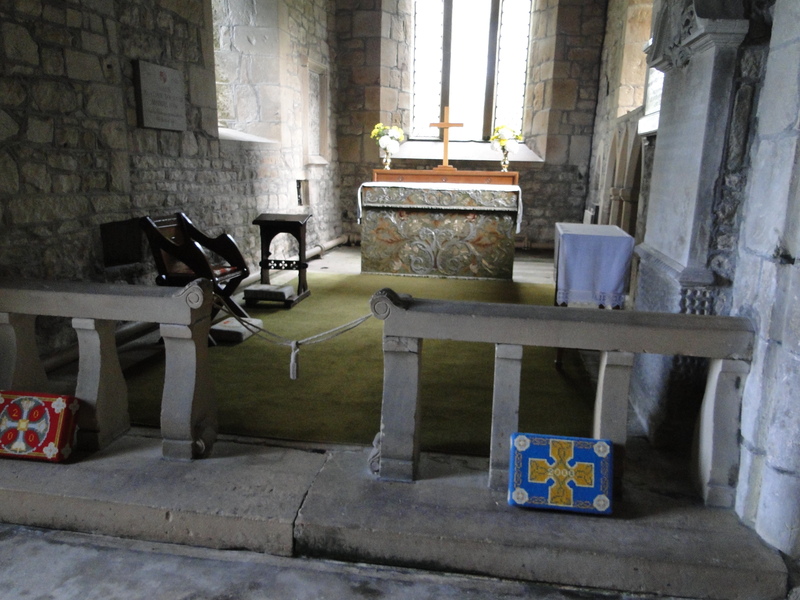 Their guidebook commented about the Suffolk family who bought in the North just before the Scots got violent! 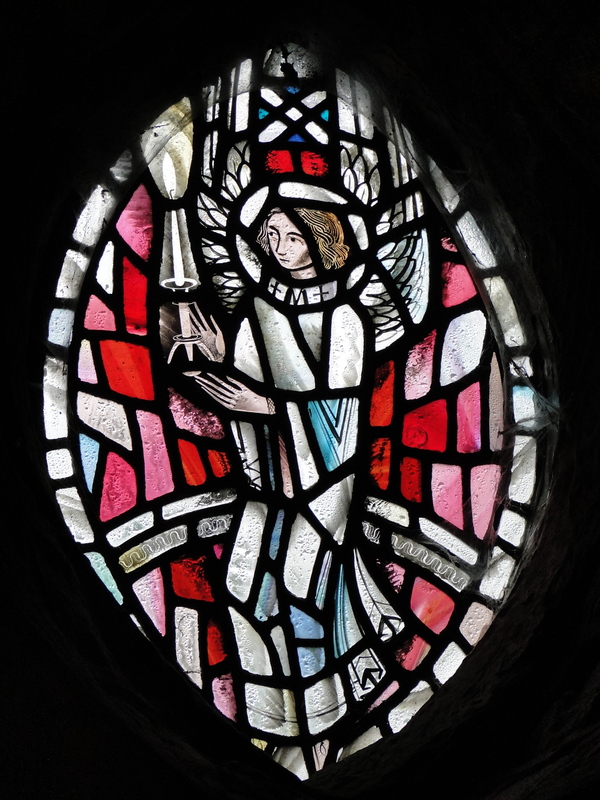 There is an Evetts’ window which commemorates the night of 1 May 1942 when a Dornier pilot, Willie Schludecker, jettisoned his bombs after being intercepted by British fighters. One of the bombs entered the church – you can see where in the photo above – but failed to detonate. The full story is at http://news.bbc.co.uk/1/hi/england/tyne/3833687.stm. 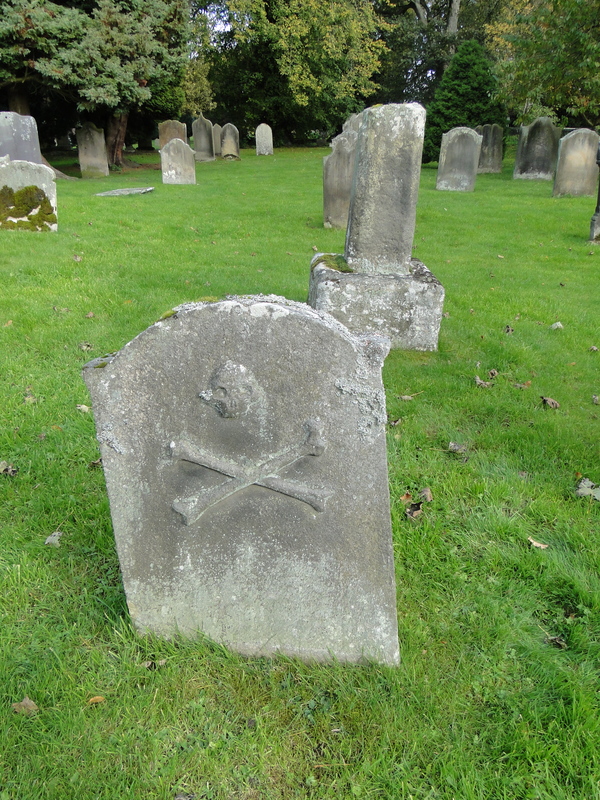 A huge churchyard, including this rather basic headstone, and one to Norman Turnball, previous head of Richard Coates’ School. 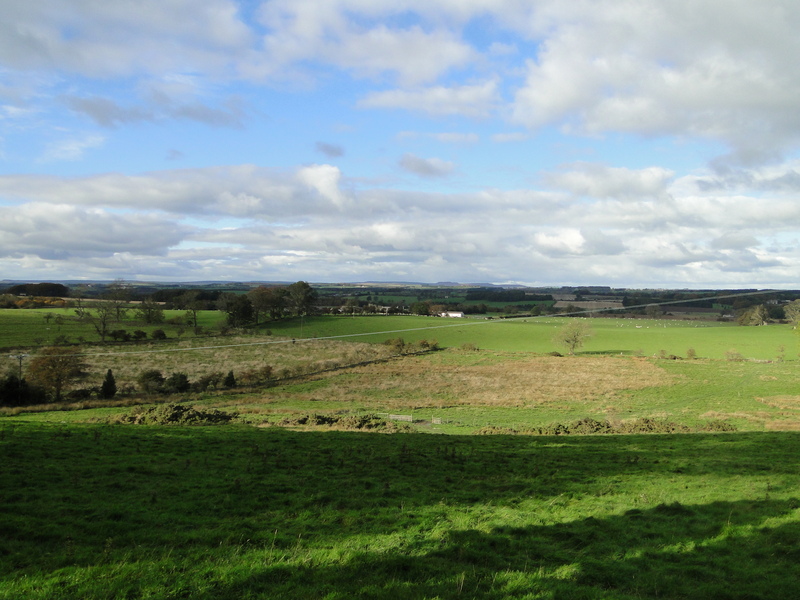 The views across the Northumberland hills are lovely – but I do wonder how long a church surrounded by so much nothing can continue to be viable.